Visit Japan is something I think everyone should do. It is such a wonderful country. A country that might look a bit western at first glance, but most certainly isn’t. A country of wonderful people, beautiful parks, mighty castles and great food. A country that seems to do so many things opposite from the rest of the world. Japan has a wonderful train system which makes travelling very easy. The shinkansen runs several times an hour between major cities, and local trains run regularly to smaller towns. 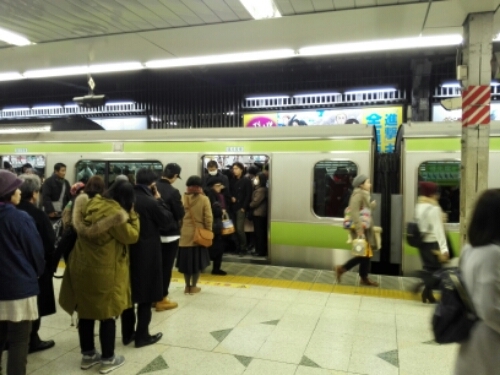 Travelling by train in Japan is safe, comfortable, convenient and easy. Travelling by bullet train can be expensve, if you are planning to travel some by train, consider getting a Japan Rail Pass giving you, as a Tourist, unlimited travel on JR trains for a fixed price. In Tokyo I suddenly found myself part of a trainspotting crowd. For a cheaper ride there are also buses connecting the major cities. Taking an overnight bus will save you money on accomodation as well. I have never travelled long distances by bus in Japan. There are also flights between all major cities on the islands. Flying in Japan is comfortable and quite cheap I have found. I have to write something about that in the future. The food in Japan is always tasty in delicious. 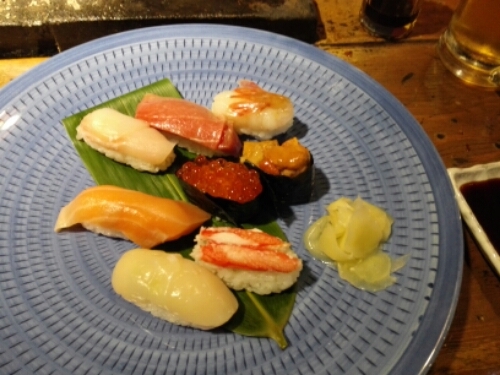 Japanese cuisine is not just sushi, but contains a range of other dishes, both cooked and raw. Learn more about Japanese food on my Food in Japan page. 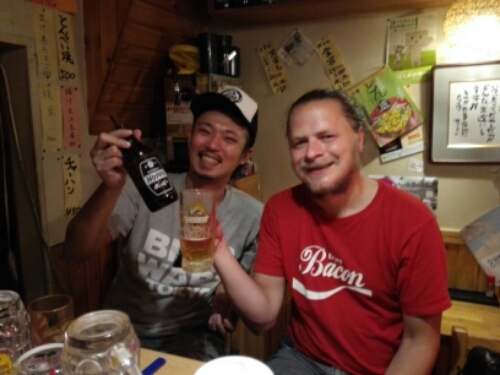 I also love the Japanese bar culture. What better way to make a friend for life than over a glass of beer. For more information about bars in Japan, visit my Bars in Japan page. Tokyo is one of my favorite cities in the world. It is huge, loud, crowded and unorganised, but at the same time very safe, with lots of quiet, beautiful gardens and shrines. 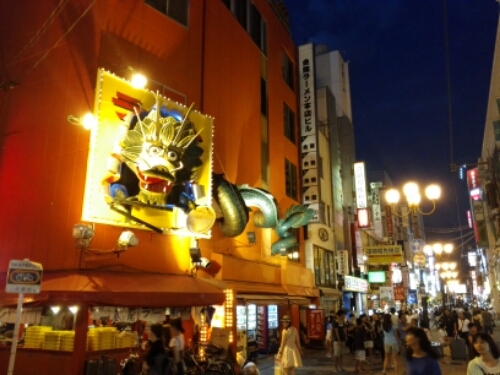 For more information about Tokyo, check out my Tokyo City Guide. Travelling south from Tokyo you reach Kyoto, a city famous for its many ytmples and shrines, as well as being the former capital of the country. For more information about Kyoto check out my Kyoto City Guide. Japan’s second biggest city, at least by day, is Osaka. It is famous for its great food, often called the food capital of the world. For more information about Osaka check out my Osaka City Guide. If in Osaka or Kyoto, a day trip to Nara would be a great idea. This small town was the first permanent capital of Japan and is home to many impressive buddhist temples and monasteries. 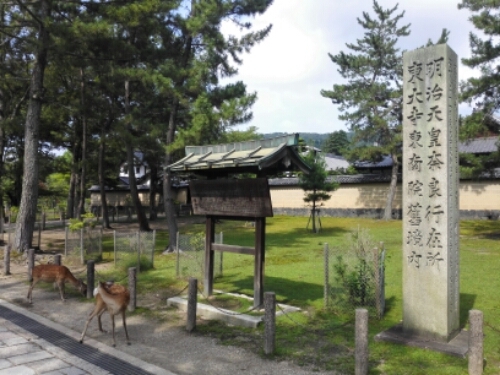 For more information about Nara check out my Nara City Guide. 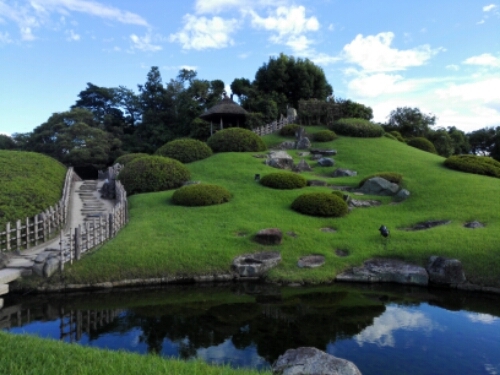 Further south from Osaka you get to Okayama, a city visited for three days in July 2015. 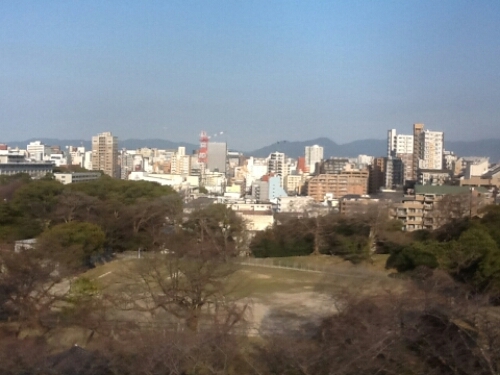 This city is wonderful as a starting point for one day trips, so many places can be reached by train fron Okayama. The city offers a few sight as well. For more information about Okayama check out my Okayama City Guide. 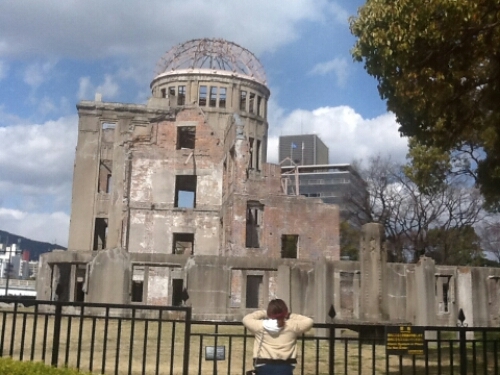 A few more stops with shinkansen travelling south and you reach Hiroshima, famous for being the first city to be hit with an atomic bomb. In August 2015, 70 years after the bombing I dedicated a whole week to this fantastic city. You can read more here on my Hiroshima Week collection. About an hour by train from Hiroshima lies Miyajima a small island famous for its many shrines and temples. 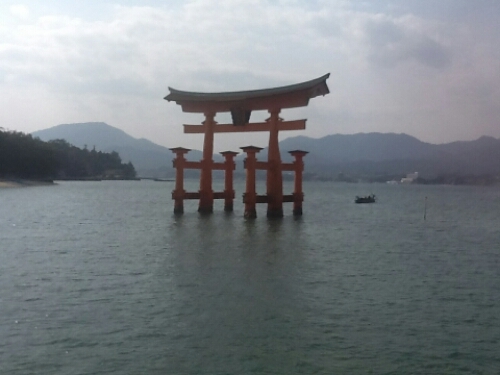 The torii, or portal to the temple, is situated in the water, creating a beautiful view. On the norther island of Hokkaido lies Niseko, a famous end excellent ski resort known for its reliable winter conditions and amazing powder snow. Only a small village of a few thousand inhabitants, it welcomes more than 200.000 visitors during the winter season. I had the pleasure of going skiing in Niseko in December 2016 and had a great time. Read more about my trip on my Niseko Stories page. West of Tokyo lies Naeba, a small ski village I visited during the summer of 2015 when Naeba hosted Fuji Rock Festival. 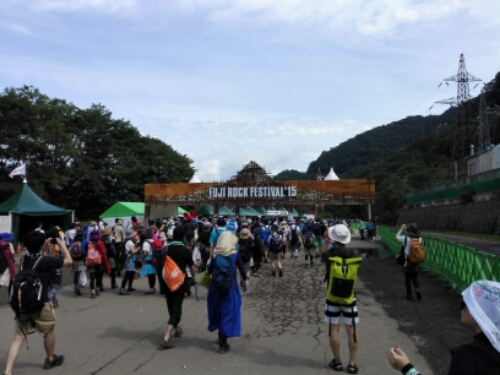 Read more about the Festival on my Fuji Rock Festival Page page. Japan is a country with a strong literary tradition, and many great authors. For great book recommendations check out my Literary Guide to Japan. A History of Japan and A Traveller’s History of Japan. Book reviews of two books about Japanese history. 18th Century Trade With Japan. I was really interested when old Japanese soy bottles werebuncovered during an archeological dig in Trondheim, Norway. I decided to look into it. 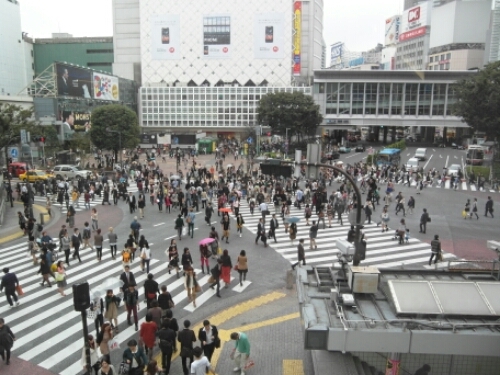 A Peace Rally in Osaka. In 2015, the Japanese government tried to change Japan’s pacifist constitution. The lead to much protesting. I witnessed such a protest in Osaka. shinkansen. The Japanese bullet train is famous for its speed and punctuality. I have travelled on the bullet train several times and love it. Japan Rail Pass. Withva Japan Rail Pass, travelling in Japan is very easy. Lost in Translation: Japanese Signs. Sometimes the message get lost in translation. Getting access to wifi in Japan. How to stay connected while travelling in Japan. Being a Guide in Nara, Japan. In 2015 I showed a friend around Japan on his first and my third visit. Practising my Japanese in Vilnius. When in Vilnius I met some Japanese, got a chance to practise some Japanese and discovered how polite the people from Japan are. 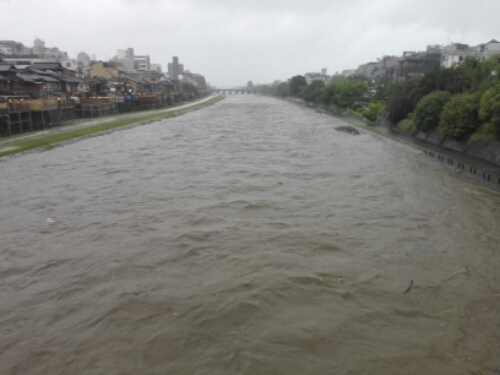 Pictures from Japan. A picture post from my visit in July 2015. 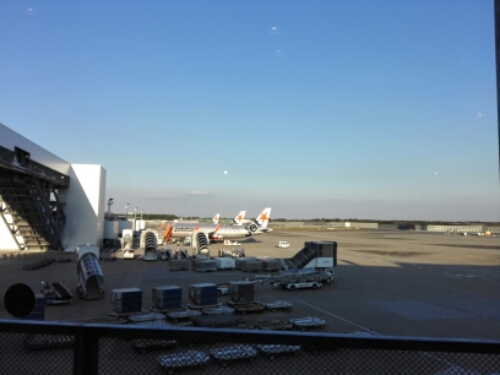 On my way to Japan. Written on the way to Japan in July 2015. I’d love to visit Japan someday! I’ll definitely keep your guide in mind for when I do. Thanks for putting this together.